I am about to reach an age when my body will digest everything at a slower pace than when I was younger. My family has pre-existing conditions like hypertension and diabetes. Our lineage is prone to diabetes. In all honesty, I love sweet, candies, cakes, ice creams and of course the staple - rice. I also want to still enjoy these sinful sweets without having to fear about my health and well being. I have lost a few relatives from the disease and certainly these can be avoided with proper diet, an overhaul lifestyle change and the willingness to do whatever it takes to live longer. A few months ago, I got curious and checked where I am at with my blood sugar, it was 86 at the time. I am pretty sure it may not be the same as the present. Weight loss - Yes, let's shed some of the holiday fat as soon as we can. 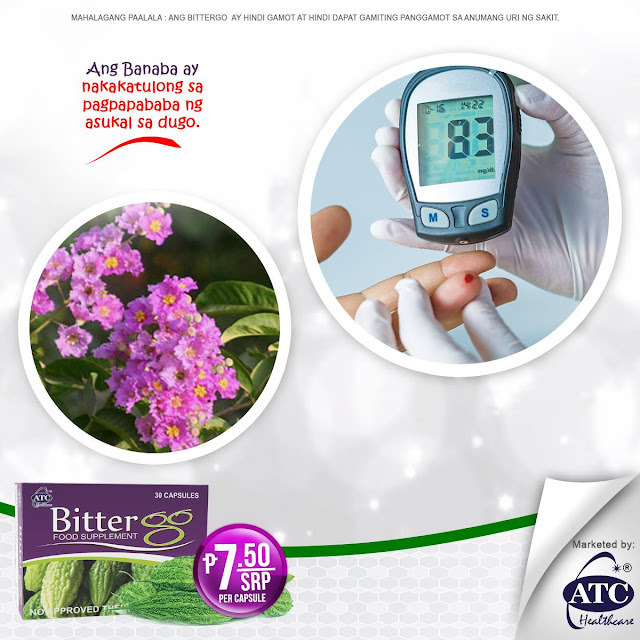 Losing weight can help control blood sugar level. Carb control - Yes, we can never say no to rice but mind you, rice is a carbohydrate and when broken down to it's simpler form - it is sugar. Manage these with meal portioning. Exercise - Be it walking, running or simple jogging around the village. Regular exercise cuts down triglyceride levels and helps with stress reduction too! Get good sleep daily - Restful sleep leads to healthier eating habits and improved blood sugar levels. 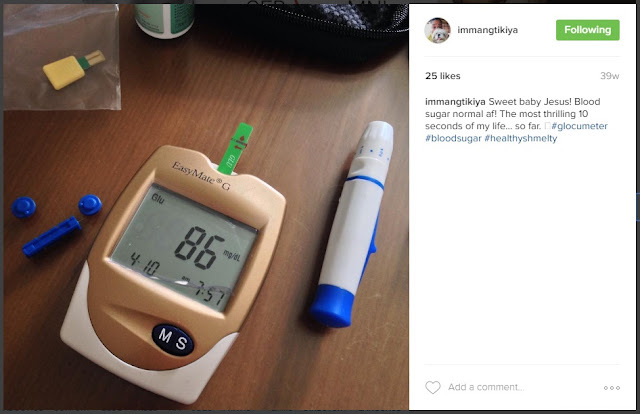 Get yourself a glucometer - Knowing your sugar levels on a daily basis can help you reach that goal to wellness. If you notice that you are consistently high on the sugar level, it's time to get yourself checked. Awareness is key and of course follow through is also important. There are multiple supplements that help you manage blood sugar levels.